We hear an exclusive-to-TSOYA sketch from Clifford & Kidd, then a track from Jonathan Katz's great new album Caffeinated, and then the first episode of our newest podcast, Coyle & Sharpe: The Imposters. Scott Dikkers served as Editor-in-Chief of The Onion from 1989 to 2000, when he left for the warmer climes of Hollywood. He returned to The Onion in 2005. We talk with Scott about The Onion's newest venture: Onion News Network. It's one of The Onion's most ambitious ventures into non-text media, and will feature parodies of cable news, Sunday-morning talk shows and C-Span. The network's motto is: "You'll never read again." Ricky Jay is a magician, actor and historian of magic. He can kill a man or slice a melon with a thrown playing card. He's also the author of a number of amazing books about the history of magic and odd performance. Amy Krause Rosenthal is the author of "An Encyclopedia of an Ordinary Life," a touching and funny memoir, presented in alphabetical order. We continue our journey into The Sound of Young America's vast audio archive with this program from The Legacy Collection. Doug Benson is a fixture on VH1's talking head programs, particularly "Best Week Ever." He's also a wonderful standup comedian, and was recently awarded the "Stoner of the Year" award by High Times Magazine. The Hollow Men's short-lived Comedy Central television series was executive produced by Dave Foley. The Sound of Young America: The Legacy Collection is an effort to highlight some of the older shows in our vast audio archive. We were pretty much podcasting before anyone actually listened to podcasts, so I'm guessing you haven't heard these shows. Our first guest on this show, which bears the theme "Storytellers," is Colin Meloy of The Decemberists. Jordan tells me they've got a major deal now, we interviewed Colin not long after their first record was released. We knew him when! And he didn't seem to like us too much! Also: Harvey Pekar is the creator of the amazing comic "American Splendor." The comic tackles stories from Pekar's life as an ordinary guy in Cleveland, Ohio. It's one of my favorite things ever. This week, it's an hour-long visit with our friends Tom Scharpling and Jon Wurster, of The Best Show on WFMU. The Best Show is a weekly three-hour decent into madness. Tom hosts, and a variety of oddballs -- many real, some imagined -- call in to discuss their problems, play on-air games and discuss their insular world. Tom is generally a genial host, but when provoked, he transforms into a despot, wielding his catchphrase, "GET OFF MY PHONE" at any and all offending parties. TBSOWFMU is best known for Wurster's calls. Jon assumes one of a variety of personae and calls Tom, often with a perfectly reasonable comment or response to a question or contest. Slowly, over the course of twenty or thirty minutes, things spin out of control. Often, Tom is left incredulously blubbering his dissent in response to a stream of bizarre proclomations on the other side of the phone. This episode of The Sound of Young America features an interview with Jon & Tom as well as a selection of material from one of the compilation CDs they release on their label, Stereolaffs. This program is an hour-long look at the scions of UK comedy, Beyond the Fringe. Through a stage show and LP, Peter Cook, Dudley Moore, Alan Bennett and Jonathan Miller changed the course of satire in the UK and abroad. We talk about Beyond the Fringe with a curator from the Museum of Television and Radio, and play examples of their work. 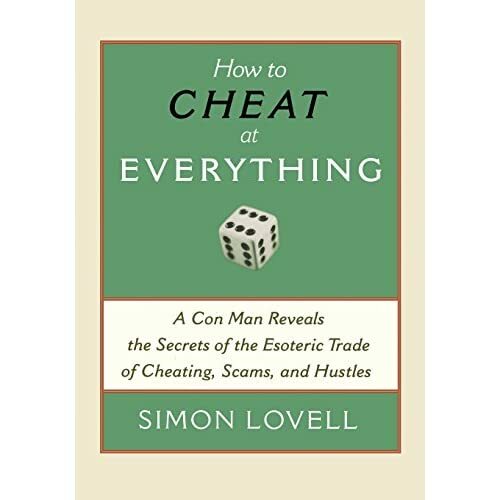 Simon Lovell is a former professional con man and card shark. His book is called: "How to Cheat at Everything: A Con Man Reveals the secrets of the Esoteric Trade of Cheating, Scams and Hustles." We talk with Simon about the emotional toll that running the con for a living can take. Also: how to avoid being conned yourself.